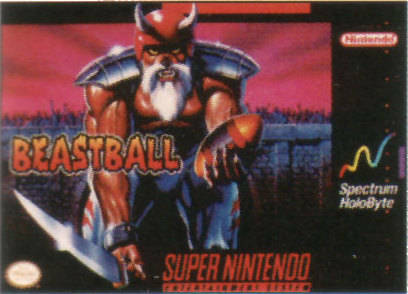 Beastball was a game planned for release for a variety of platforms, including the SNES. 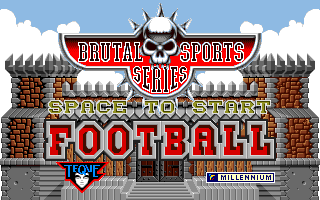 It eventually saw a release under the title "Brutal Sports Football". Thanks to Matt Stritenberger for some tips. 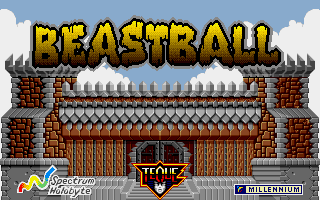 Beastball was intended to be the first of many games in a planned "Brutal Sports" line by Spectrum Holobyte. 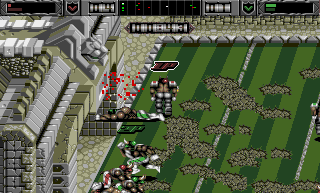 The game was published on the Amiga, Atari Jaguar and MS-DOS as Brutal Sports Football (Crazy Football in Germany). If I were to guess, the SNES and Genesis versions were cancelled when Microprose purchased Spectrum Holobyte in 1993. The game was developed by Millennium Interactive, a company best known for their James Pond series, and Teque Software. Not much information exists for the SNES version of the game. It was listed in the upcoming games list in the November 1993 issue of Nintendo Power. The advertisement below comes from the website of Steven Olson, who wrote the text of the advertisement. Shortly after receiving the above information, MrMark0673 released the ROM image of the unreleased Genesis version of the game. The prototype was originally owned by DreamTR. Maybe someday a SNES version will come out as well? I played the Genesis version a bit, and though it markets itself as being like American football, I think it actually is more similar to Aussie Rules football. The gameplay has you trying to get the ball into the end by running or kicking it in. You can either tackle your opponents when they have the ball, or you can destroy them with swords. 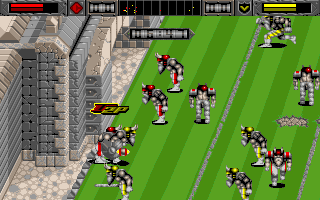 I compared the prototype with the DOS version of Brutal Sports Football, and though the Genesis version is very playable, it does appear to have some missing moves (like jumping).